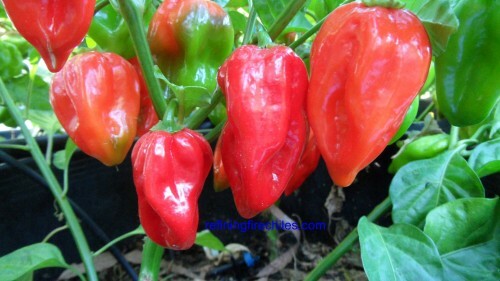 Antillais Red Caribbean-(Capsicum chinense)-A delicious fruity flavored habanero from Dutch Antillais Caribbean Islands. It gows really well and produces tons of pods. My favorite traditional red Carribean type. Pods mature to a light to medium red color. They get up to 2 inches long and 1.75 inches wide. Easy to grow. The Antillais Red Caribbean chile plants grow between 3-4 feet tall.